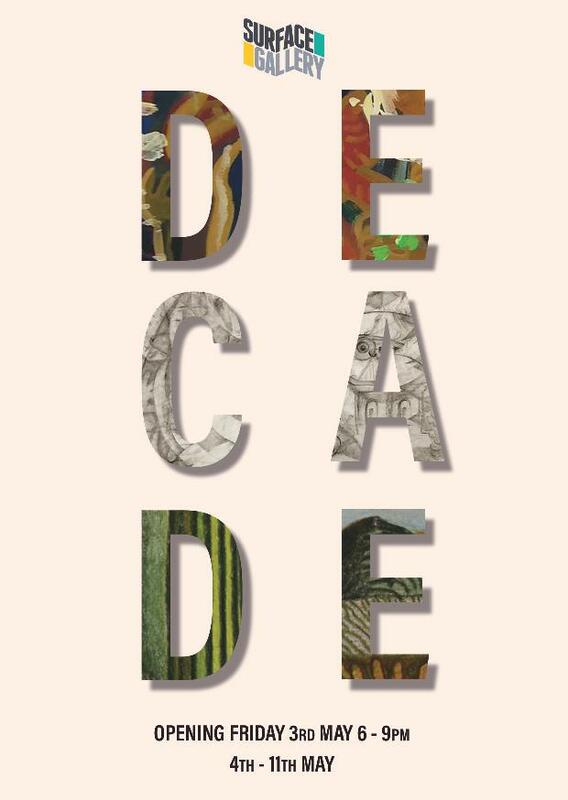 Surface Gallery is proud to present Decade, the culmination of 3rd Space Studios' passions, investigations, and discussions that have fuelled them over the last ten years. Based in Sherwood 3rd Space Studios provide a vital professional working space for local artists. The studio celebrates and is proud of its position on the periphery, as well as it's continued commitment to encouraging and supporting contemporary arts outside of the city centre. Surface Gallery invites you to share in 3rd Space Studios' journey as they prepare to begin a new chapter with their investigations of personal and cultural histories.